Few qualities are more vital to the long-term success of the nation’s K12 school superintendents than the ability to maintain effective working relations with members of the local school board. But, as any leader who’s landed on the hot seat can tell you, surviving the gauntlet of opinions, political agendas, and ideals of a half dozen (often more) personalities requires a herculean commitment. The end result isn’t always pretty, a truth to which Bolgen Vargas, superintendent of the Rochester City School District in Rochester, N.Y., can attest. Embroiled in a contentious dispute with locally elected education officials over the makeup of his senior advisory team, Vargas recently filed legal action against the school board, claiming it attempted to usurp his hiring power, effectively compromising his ability to manage the district. School Board President Van White told the Rochester Democrat & Chronicle that the superintendent’s authority and hiring practices had “gotten out of sync” with the board’s interpretation of his role as the district’s top educator. Vargas reportedly offered to withdraw the lawsuit in exchange for a two-year contract extension. But sources told the paper that the school board rebuked that proposal. Rochester represents an extreme case — it isn’t every day that a superintendent sues the elected body that hired him. It’s evidence of just how quickly the relationship between school boards and district superintendents can implode. Every school district leader faces challenges in dealing with elected board members. Differences of opinion create cause for debate. But, provided both sides are working toward a common goal — a better experience for students — those conversations don’t have to end in acrimony. The solution is for both sides to listen with an open mind, and to bridge their differences in the spirit of compromise. Education leaders know this. But, as evidenced by the situation in Rochester and in countless other communities across the country, that work is easier said than done. 1. 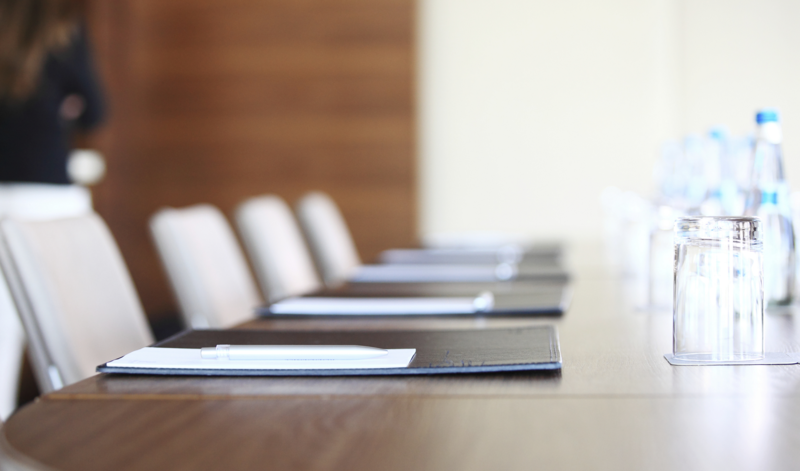 Treat board members equally. The makeup of your local school board is diverse. You’re dealing with people from different backgrounds, with different opinions, and many of them consume and process information in different ways, writes Carlson. Find out how your board members prefer to receive information — whether via smartphone or email or a good old-fashioned phone call, for example. Make sure that you reach out to board members in a way that makes sense for them personally. Treating board members equally does not necessarily mean treating them the same, Carlson explains. It’s important to understand how each individual operates and to communicate with that person in a context that they can understand. 2. No surprises, please. The nation’s best school leaders are visionary thinkers. Coming up with new ideas to improve the school system is what they were hired to do. But school board meetings aren’t necessarily the place to shake things up, writes Carlson. If you’ve got a game-changing idea, talk about it with stakeholders and elected officials in advance. Drum up support before bringing your idea to the table for a vote. Give school board leaders time to get comfortable with your plan, let them process the idea and ask questions. The process might take longer, but you’re more likely to be pleased with the end result. 3. Stay in close contact. Every relationship needs nurturing. Writes Carlson, “Board members appreciate being kept in the loop, and it is always better to hear information from you as opposed to them hearing it from someone in the community.” Consider sending out weekly email updates to your school board members. Encourage them to reach out to you personally if they have questions or concerns. Your door should always be open. What steps have you taken as a school leader to cultivate stronger relationships with individual members of your local school board? Have you considered using an online feedback solution to field comments from stakeholders, for instance? Tell us in the comments. Be the first to comment on "How to get in good with the local school board"